These provisions can head off a will contest after your death. If you’re afraid that someone might challenge the validity of your will or trust in court after your death, you may be tempted to add what’s called a “no-contest clause” to your document. These clauses are designed to discourage disgruntled relatives from contesting your will or trust. They work by providing that anyone who does mount a legal challenge—and loses—doesn’t inherit a penny from you. A no-contest clause will discourage someone only if that person has something to lose by challenging the will in court. For example, say you have two grown children, one of whom cannot handle money responsibly. If you leave him $10,000, he might think twice about challenging your will, because if he sues and loses, the no-contest clause means he wouldn’t get the $10,000. Putting a no-contest clause in your will can give you a false sense of security, because the clause might not be enforced. Your state’s law will affect how effective a no-contest clause will be—or if it will be effective at all. In Florida and Indiana, courts do not enforce no-contest clauses. In these states, a beneficiary who sues to invalidate part or all of your will, but loses, still inherits whatever you left him or her in your will. About half of the states do enforce a no-contest clause unless the person suing had “probable cause”—that is, a good reason—to sue. The courts don’t want to discourage worthy lawsuits that seek to overturn a will that was made by someone of unsound mind or who was being manipulated by a greedy interloper. You should think about this issue, too. You wouldn’t want a no-contest clause to keep your child from suing to get your will declared invalid if the will really was fraudulent or the result of undue influence over you. Most people don’t need to worry about anyone challenging their will or trust in court. But if you have real reason to fear a challenge, it’s a good idea to talk to a local estate planning attorney. The attorney should be knowledgeable about how courts in your state treat no-contest clauses. And when you explain your particular worries—who you think might challenge your will, and why—the lawyer should be able to suggest some tactics to deal with the potential problem. 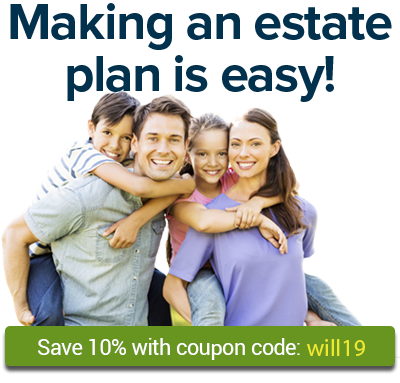 There are, for example, other steps you can take to head off a will contest. There are also ways to leave money to someone in a way that prevents them from quickly spending it all in ways you wouldn’t approve of, including "spendthrift" trusts.